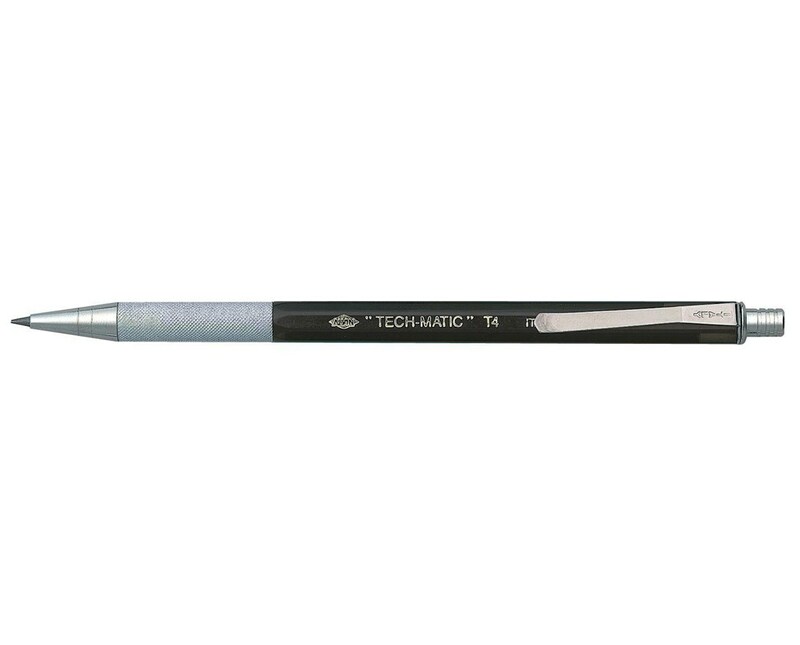 The Alvin Tech-Matic Lead Holder is a durable and functional lead holder. It features a tough plastic barrel and a spring-loaded lead feed. This feed allows a 1/8-inch positive auto-control lead advance with each press on the cap. With a knurled finger grip that provides enough friction, this lead holder resists slipping while in use. The Alvin Tech-Matic Lead Holder takes 2-millimeter leads. It has a built-in lead pointer located in the pencil cap. It is also equipped with a spring pocket clip that allows total portability and easy accessibility. It is supplied in a blister pack and includes one lead. It is available individually and in a pack of 24. With an optional 6"W x 5¼"L x 10¼"H acrylic peg hook counter display, this package is economical and practical. The Alvin Tech-Matic Lead Holder comes in two different packages to suit various needs. Please select your preference from the drop-down menu above.